I think I have found the macaron that will finally convince me to try to make my own. 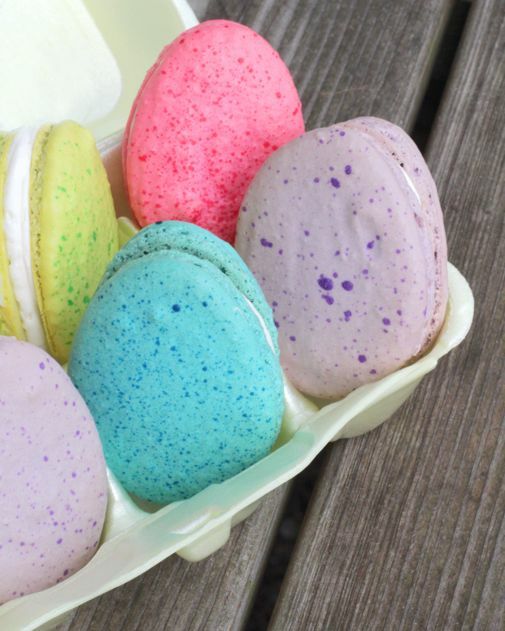 These Easter egg macrons that Sandra created last year are perfect on so many levels! Considering if I tired to make a perfectly circle macron it would probably come out egg shaped, I think these are a great place to start! You can get the recipe and see the tutorial on how to make Easter egg macarons over at Project Denneler.